Introduced in the summer of 2014 in response to multiple inquiries and requests, the Caravan C-Tenor Saxophone Mouthpiece represents a modern open-chamber mouthpiece produced to complement vintage C-tenor saxophones (commonly referred to as “C-melody” saxophones). Thousands of these instruments were produced in the U.S. (most in Elkhart, Indiana) prior to 1930, and many of them are still being used in various settings today. While often presenting more pitch problems to overcome compared with more modern Eb altos and Bb tenors, the C tenor produces a uniquely beautiful sound. This new C-tenor mouthpiece is similar to the Caravan Bb Tenor Saxophone Mouthpiece on the inside and has essentially the same facing curve and tip opening (around .067 in. ), but its shorter length and bore are sized to be appropriate for the C-tenor. Dr. Caravan used a Conn C-tenor saxophone (serial no. 132xxx) in the design and testing of this mouthpiece. 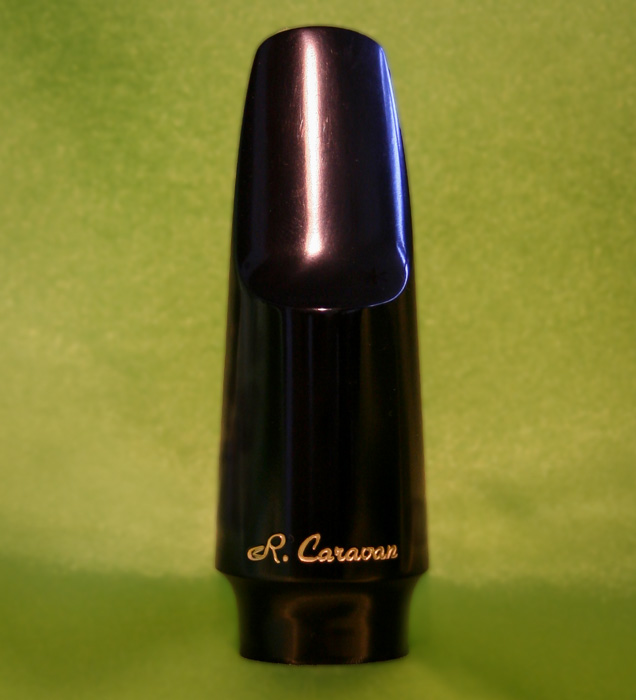 Compared with an original vintage Conn C-tenor mouthpiece, the new mouthpiece produced a larger, darker tone and a somewhat better pitch center. Copyright © 2018 Caravan Mouthpieces. All rights reserved. Use of this site constitutes acceptance of our Terms and Conditions.